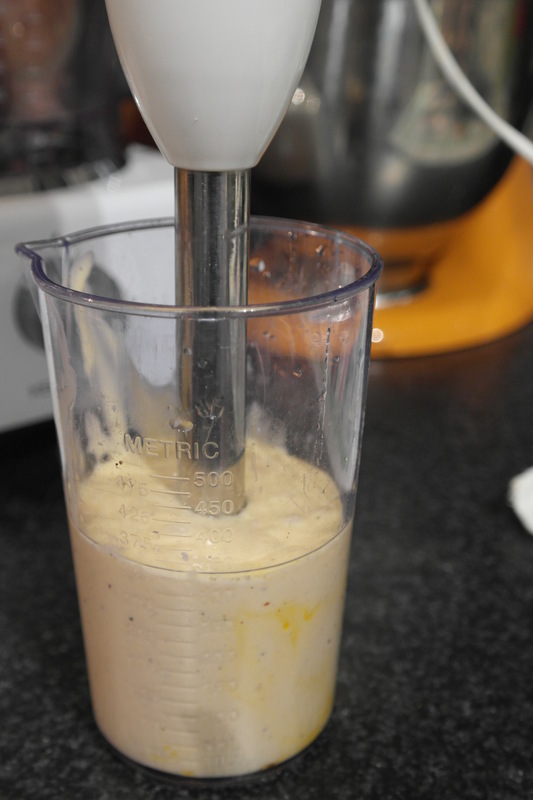 Place all of your ingredients in a tall narrow cup, preferably the one that came with the stick blender. 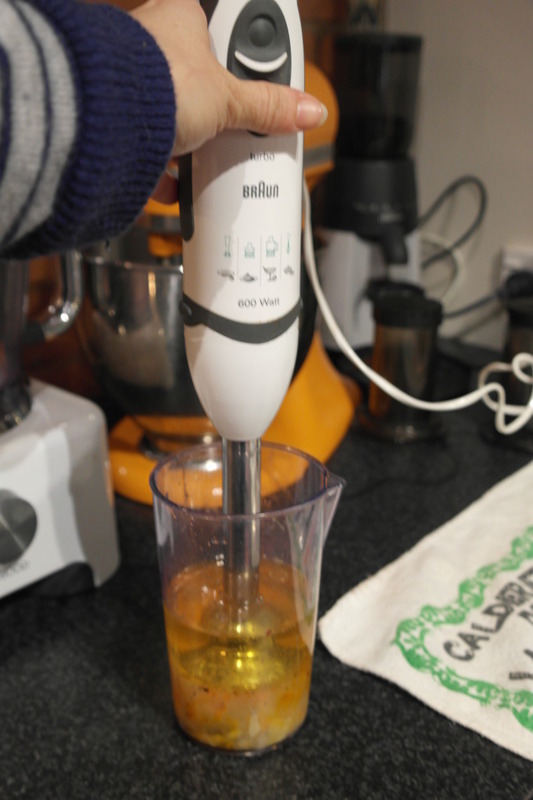 Using the normal blending attachment, start blending the ingredients from the bottom of the cup and work your way up so the ingredients blend together and get nice and creamy. 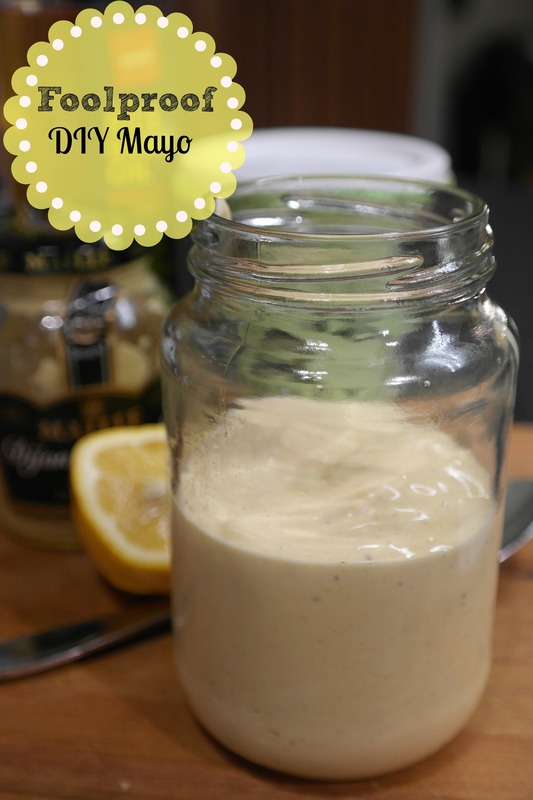 Transfer the mayo to a clean jar with a lid: Refrigerate. Mayo keeps for about two weeks (good luck keeping it that long!). * Extra virgin olive oil is far too peppery to use for this: I learnt the hard way! Regular olive oil is fine. * Make sure you use a tall narrow cup: Don’t use a bowl: It’s got to be a narrow cup (otherwise it won’t work). 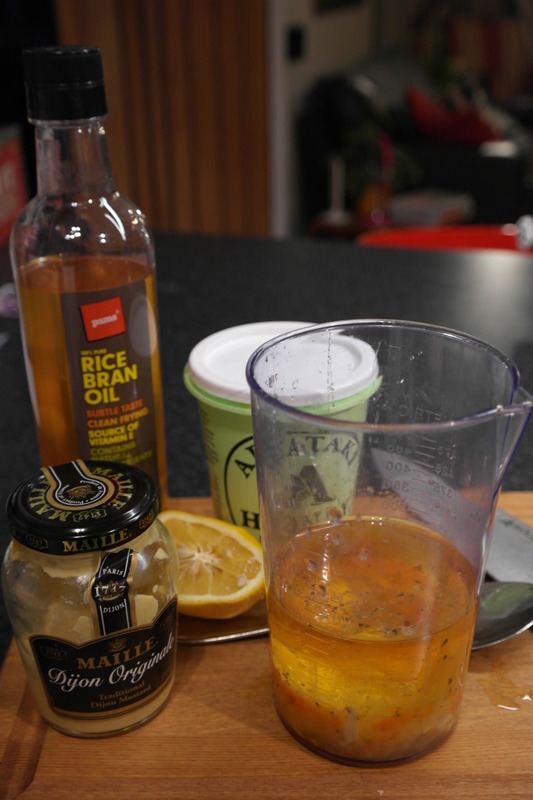 Place all ingredients in the tall ‘blitzing’ jug that comes with the stick blenders.